What are the most beautiful places to visit in Xinjiang? Over the past 10 years that I’ve been traveling across China’s far western region, I’ve run across some amazing culture and breathtaking scenery. Some of it is documented in travel guides but a lot of it isn’t. I’d love to share with you the five most gorgeous Xinjiang destinations that you’ve probably never heard of! I’ve had the privilege to travel around Xinjiang, China for years now and what I love most about the province is that there’s always something new to see as long as I’m adventurous enough to find it. I threw away my Lonely Planet years ago. It’s not that the Lonely Planet it useless – I love the company, personally. It’s just that the Xinjiang region is so large, it is impossible for any of the China travel guide books to accurately cover the whole region. Of course, most people don’t have the luxury of time that I and others who live here in Xinjiang have, so I thought it might be interesting to share with you what I think are the 5 most beautiful places in Xinjiang that you’ve never heard of. 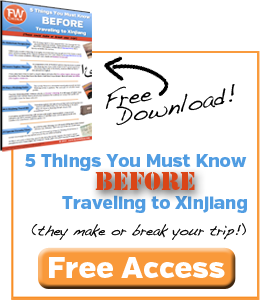 I think you’ll enjoy this list and remember, if you’re going to be traveling to Xinjiang in the near future, get information on all of these places and so much more in the FarWestChina Xinjiang travel guide, the most comprehensive guide on the market for this region! 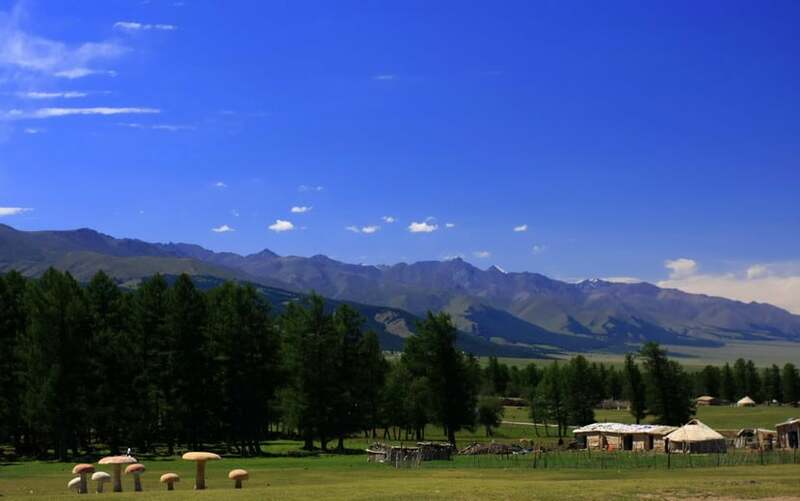 Located about 120km (75 miles) northwest of Hami, Barkol is a Kazakh Autonomous County that boasts picturesque landscapes surrounded by beautiful mountains. You may not find a more peaceful, beautiful place void of tourists anywhere else in China. During spring and summer you’ll find many yurts surrounding the nearby Barkol Lake, a great place to make a few new Kazakh friends. Believe it or not, you may have already heard of this area. A few kilometers to the east is a small town named Yiwu that because famous when it was determined to be the prime viewing place for China’s 2008 total eclipse. Hundreds of tourist – both Chinese and foreign – traveled to Yiwu to experience the 2 minutes 1 second of total eclipse. 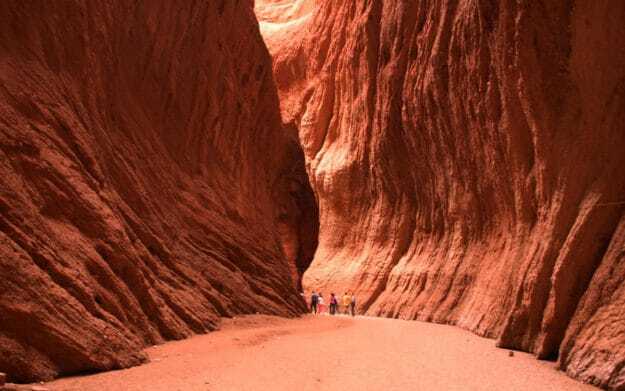 At a length of only 5.5 kilometers, the Kuqa Grand Canyon doesn’t quite compare to it’s big brother in Arizona, U.S.A. Don’t let it’s smaller size fool you, though – walking through this canyon is unbelievable. The canyon is worth visiting if you’re traveling to Kuqa (sometimes spelled “Kuche”) and not a far drive from the Bayanbulak grasslands, another beautiful stop on the southern edge of the Tian Shan. Wind-eroded rock in the canyon creates amazing textures along massive columns. 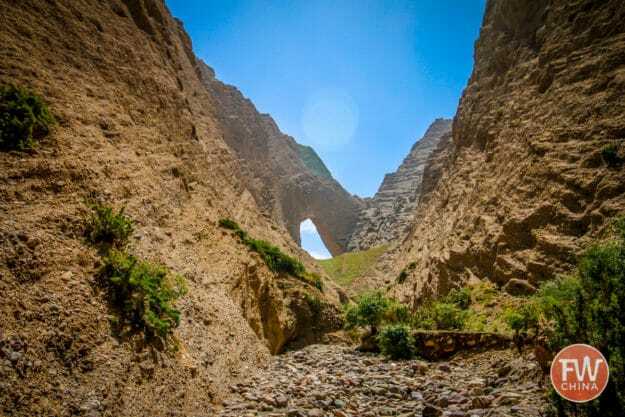 True to the region’s Silk Road history, the Tian Shan Grand Canyon is also home to the Ayi Grotto, a little-known but modest collection of Tang dynasty-era grotto art. 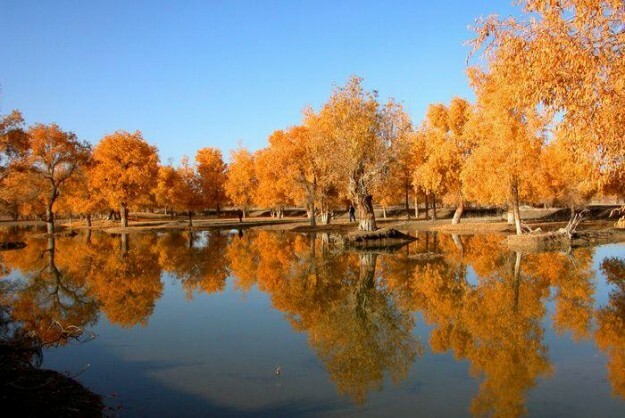 Xinjiang’s most iconic tree is called the diversiform-leaved poplar and if you see a picture of one in Xinjiang, chances are it was taken at the Tarim River Park. The roots and branches of this tree have the uncanny ability to be both beautiful and eerie at the same time. Located along Highway 312, known as the longest desert road ever built (522km), where the road crosses the Tarim River, the park is actually quite large – nearly 100 square kilometers. As shown in the picture above, it is best to visit during the autumn when the leaves are a beautiful golden color. If you’ve followed FarWestChina for any amount of time, you should be familiar with Shipton’s Arch, but most people have never heard of it. It’s located near the ancient Silk Road oasis of Kashgar and even most Kashgar locals haven’t heard of it! Unfortunately, Shipton’s Arch is not photogenic. It is one of those places where pictures just don’t do the place justice. 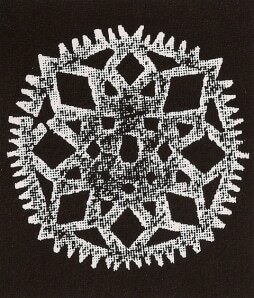 I have yet to find a picture that truly captures the essence of this natural phenomenon. Seeing it in person, however, is incredible! Named after Eric Shipton, an English mountaineer who first made the landmark known to the world in his book Mountains of Tartary, the arch is so tall that it could fit the Empire State Building inside. I told you, pictures are deceiving! 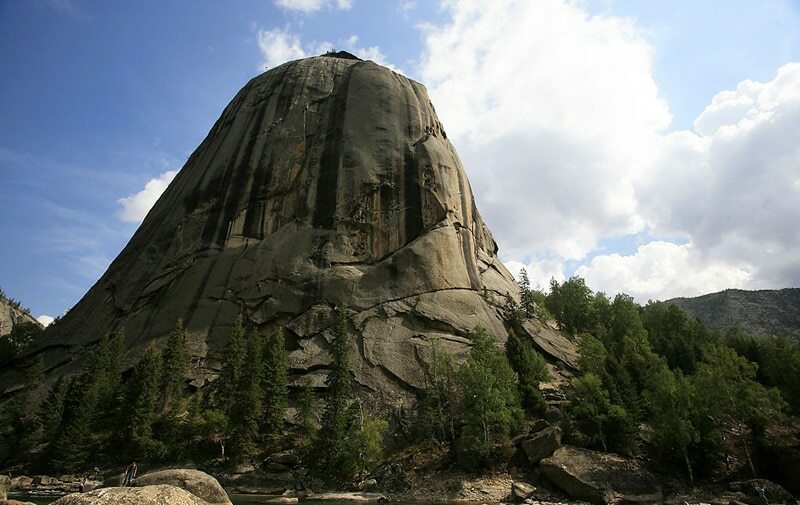 Xinjiang’s Keketuohai National Park also goes by another unofficial name – “China’s Yosemite”. 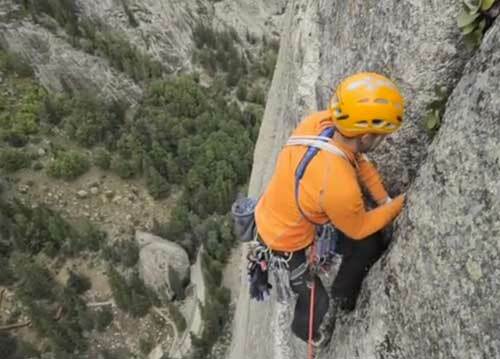 Unlike in the U.S., however, this national park is not very well-known throughout China. The park is located on the northern tip of Xinjiang, a bit east of it’s more famous cousin, Kanas Nature Reserve. Towering walls of granite rock protrude from the ground surrounded by beautiful white birch forests and the gorgeous Irtish River. Keketuohai is gaining in popularity so it’s likely Chinese tourist hoards will begin to flock there soon enough, but for now it’s a great place that not a single traveler I’ve met knows about. 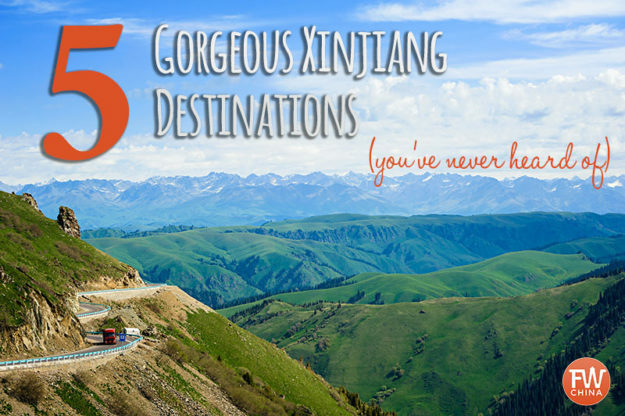 This list only begins to scratch the surface of the gorgeous Xinjiang places I’ve experienced. Best of all, it doesn’t even include the wonderful Uyghur culture and ethnic cuisine that you’ll enjoy while you’re out here as well! I’m sure there are plenty of other places that are worthy of this list – Fruit Valley, Apricot Blossom Valley, the Kumtagh Desert Dunes, etc. – but I’ll have to save those for another post. For now, I hope this encourages you to explore off the beaten path in Xinjiang. Grab a copy of the FarWestChina Xinjiang travel guide and discover parts of China you never knew existed! “… what I love most about the province is that there’s always something new to see as long as I’m adventurous enough to find it.” We agree! Xinjiang is a great place to be and to travel. From the list – we’ve been to Shipton’s Arch and we think it’s really great. Exploring the province is simply fascinating. Shipton’s Arch is such a cool spot. Not quite a “bike-able” place but definitely worth a visit.